are these items available in the local market??? any mechanical changes on the body frame required or is it a bolt on blot fit???? any mechanical changes on the body frame required or is it a bolt on blot fit??? 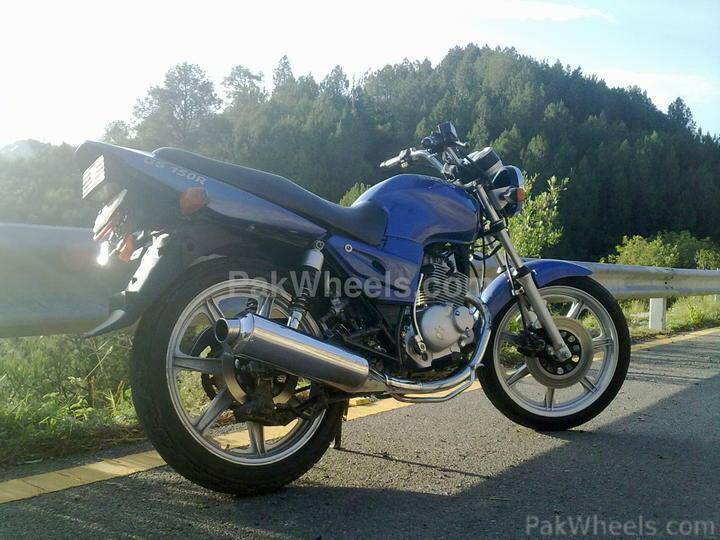 I saw these bike photos you posted, in bike for sale section @ PW and I also contacted person. 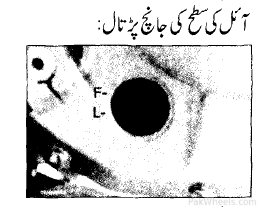 He told me that he purchased the alloy rims from Peshawar and used the Body parts of Ravi Piaggio. Over the last two weeks I was working on Ravio Piaggion and almost made my mind ready to buy that. but as its service and after sale comments not very good. I am also very much thinking to convert Suzuki bike in to this shape. That would be a classical thing to do. well its a perfect combination ,, did u ask him about the total cost of the project ??? any info about the fittings of the body parts??? I want to check engine oil of my GS150. i have opened the gage but unable to understand the level of engine oil. GS150 does not have a dip-stick gauge. It has a glass window on the right side, you can check the level in it. Start the engine and run for a few minutes, then put the motorcycle on center stand on level surface and wait for three minutes. 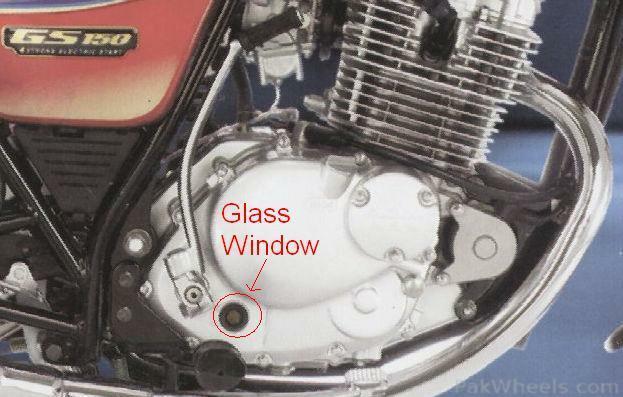 The oil level should be above the center of the window. It will be better if you repeat this procedure after the next oil change and mark the oil level, so that you can compare with that level the next time. 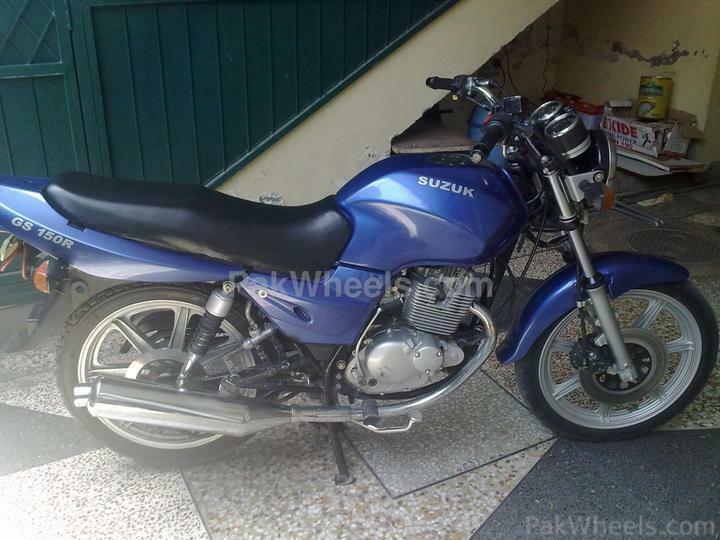 Suzuki Motorcycle ka showroom peshawar main nahi hai. 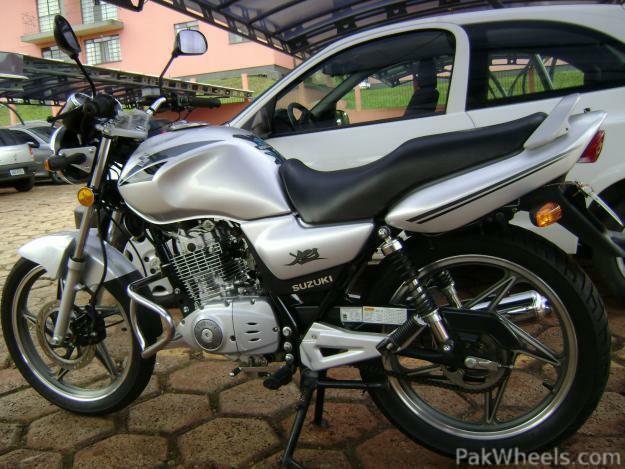 Salam to all members!my question is same as umar, when would the 2011 model of Suzuki GS150 be launched & any new improvement expect graphics. 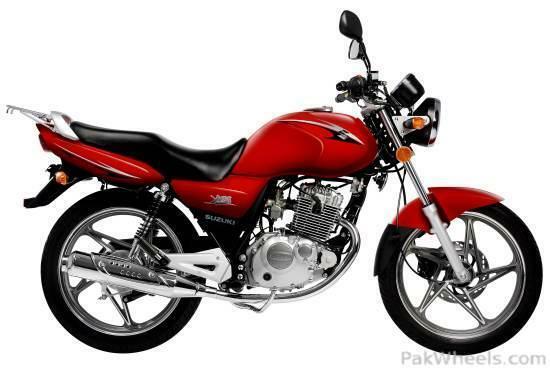 bhai 2011 main kuch change nahin kraingay siwaye sticket k . main new bike lenay wala hon gs150 or rwp showroom wala keh raha tha k sirf sticket change hoga 4th month 2011 mian. Reasonable price of good GS 150 with 5000K runing & ~6 month old shud be 65~70K. Meri jaan yeah Suzuki Gs-150-R hai. Mere khyal main Pakistan main sirf gs-150 available hai. bhai yeh koi gs150R nahin hai . yeh gs150 hai jis ko modify keya gaya hai . or is k owner say main mila tha jis din main nay gs150 purchase keya hai us din us nay bhi new purchase keya hai or is ki modification cometti chow rawalpindi suzuki showroom main Safeer bhai kerty hain . mazeed info k liay un se contact kejiay ga .
Hey Guys how are you riding out there these days ! I plan to buy a GS 150 within the next 10 days, so is there something as a Fault or complaint with this current model that I should be aware of before buying then let me know PLZ! and guys any suggestion as to what should I check in the bike before signing the delivery letter ? waiting for your replies ! same info from here @ LHR n @ FSD. so tell me should I wait for 2011 or buy the new bike in 2 wees. or maby buy it now n get it registered in 2011 !! !